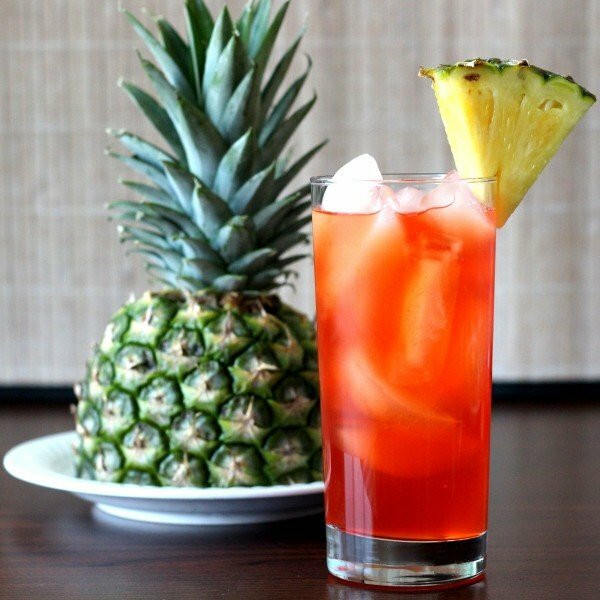 The Western Sling cocktail is an easy-going fruity drink featuring three ounces pineapple juice – and most of an ounce of simple syrup, too. But it’s not as sweet as it sounds, because there’s also lemon juice and gin. 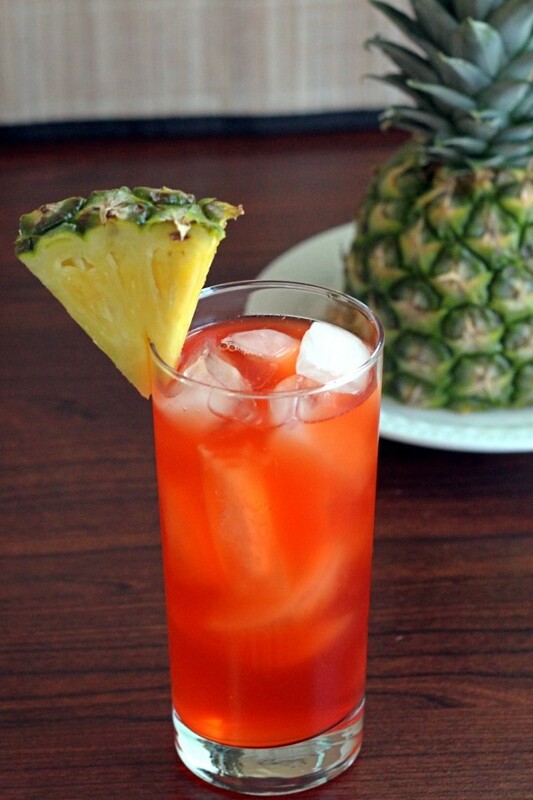 It’s a variation on the Singapore Sling, and like the Singapore, the alcohol in it can sneak up on you while you’re enjoying the fruity easy-goingness. Shake all the ingredients together well and strain into a Collins glass filled with ice. 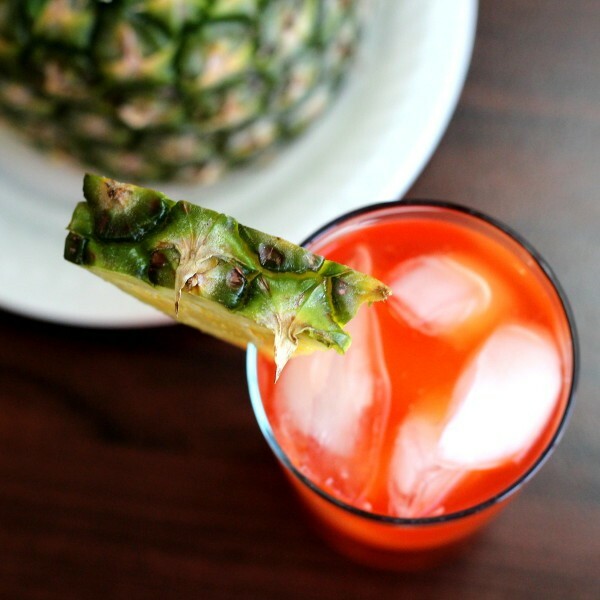 For garnish, you can use any or all of the following: a pineapple wedge, an orange slice, a maraschino cherry, a lemon twist or colorful straws.